The old windmill at Lytham St Annes is a famous local landmark that currently hosts an excellent local history museum. 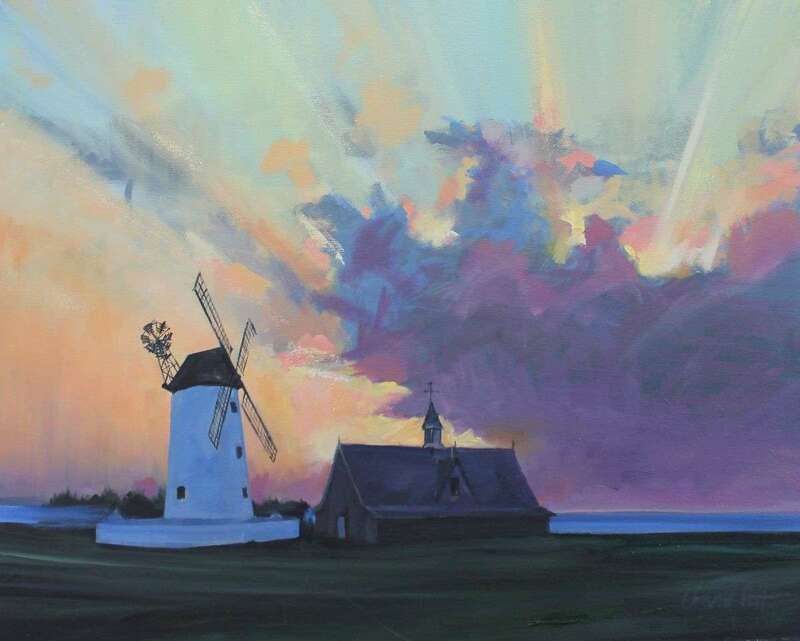 Windmills are always a dramatic object to paint; I even find modern windmills to be compelling subjects to include in a composition, some adding power to the landscape in more ways than one. For this composition, I wanted to add a dramatic background. Eagle-eyed viewers will note that this view is facing south, so I have used lots of artistic license to include a setting sun behind the dramatic storm clouds.